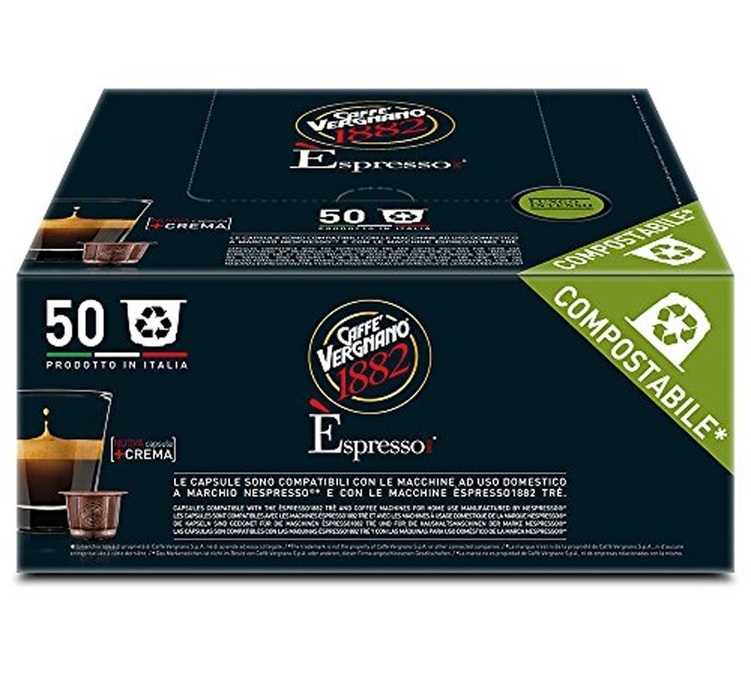 Discover this pack of 50 biodegradable Espresso Lungo Intenso capsules from Caffe Vergnano. This balanced blend with velvety notes from the best Arabicas offers an excellent coffee, perfect for breakfast. The capsules are compatible with Nespresso® machines. Comes in a pack of 50 capsules.